A huge portion of the carbon dioxide emissions in the UK come from housing. Although the government has taken some steps to make the country more environmentally-friendly, many organisations feel they’re still not doing enough. The good news is that many people are now looking for ways to make their homes more energy efficient. 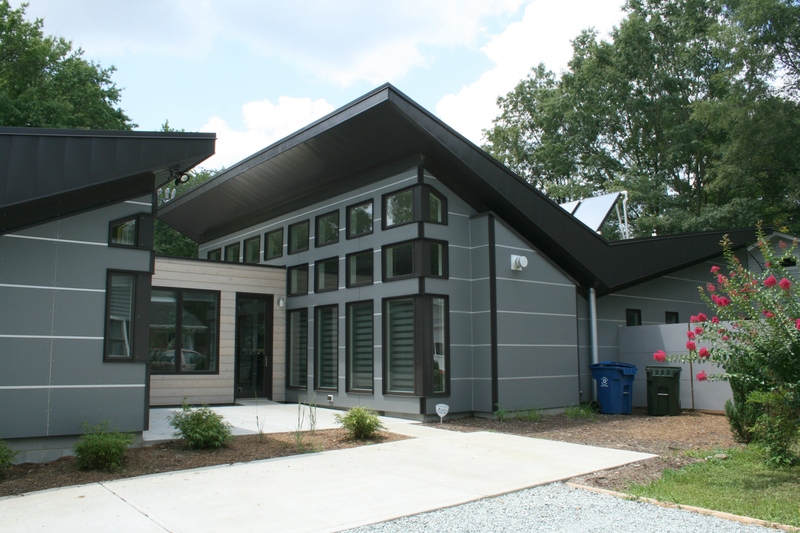 With this in mind, below are some of the biggest trends in green housing. One of the most pleasing trends in recent years is for energy efficiency to be considered at the design level. Designers and architects are now designing homes from the ground up in a way that’s energy efficient and environmentally-friendly. The way that new builds are made to be more energy efficient isn’t just through how they generate energy but also by reducing the amount of energy that’s required in the first place. This is often referred to as ‘passive design’. The idea is to use a combination of innovative shading, ventilation and insulation in order to reduce the energy requirements of the homeowner. Green roofs are exactly what they sound like i.e. rooftops that are covered in plant life. This might seem like a strange idea at first but it actually comes with some very useful benefits. Firstly green roofs help to reduce emissions by keeping homes cool during the summer. Secondly they make it easier to adapt to changing weather by retaining rainwater during downpours. Green roofs also help to support insect life. The price of solar panels has reduced drastically over the last few years, meaning they’re more affordable for the average person. 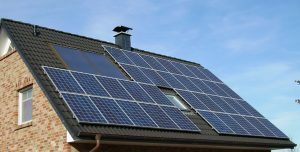 Despite this, some people are still put off by the look of solar panels, however there are now solar panels available that are designed to look similar to standard roof tiles. This means you can get the benefit that solar panels provide i.e. renewable, clean energy; but without fundamentally affecting the look of your home. Co-housing is a relatively recent development, at least in the sense of the main aim being to reduce energy usage. The idea of co-housing is to enable people to share certain common resources while still having their own private space. People who live in co-housing facilities are expected to participate and help with the upkeep of the project. Co-housing projects allow residents to get the best of both worlds and are excellent for helping to combat loneliness and isolation, which is a growing problem in the UK.